Saving for retirement continues to be a significant challenge for millions of workers still searching for economic stability in this post-recession era. What's worse is it will likely become much more difficult if Congress adopts the privatization, benefit cutting and cost-shifting plans the GOP Presidential candidates propose for Social Security and Medicare. Before we look at what some of these plans would mean for generations of retirees and their families, it's important to understand what the current retirement crisis actually looks like for the average American. 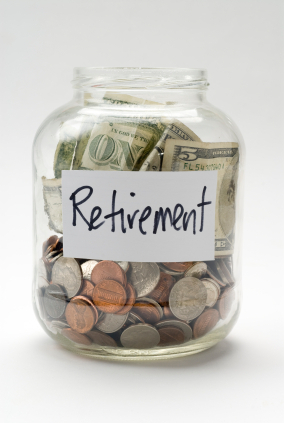 Retirement USA reports the gap between what Americans need to retire and what they actually have is $7.7 trillion. In fact, about half of households age 55 and older have no retirement savings and a third of current workers aged 55 to 64 are likely to be poor or near-poor in retirement. Unfortunately, the median retirement account balance is a puny $3,000 for all working-age households and $12,000 for near-retirement households. Contrary to the political rhetoric that all Americans are living longer, the truth is high income men have gained 8 years of life expectancy while low income men have seen virtually no change. White men also live about 12% longer at age 65 than black men. At the same time, a survey of older people in 11 countries finds that U.S. adults are sicker than their counterparts abroad, and are more likely to have problems paying their medical bills and getting needed healthcare. Unfortunately, America's retirement crisis has earned almost as many "deniers" as the climate change issue. We can't continue turning a blind eye to the millions of American families struggling with how to ensure grandparents, parents and ultimately their children can age with dignity without impoverishing themselves. Rather than acknowledge our national retirement crisis and propose policy prescriptions to improve the ability of average Americans to save for retirement and boost benefits for Social Security and Medicare, policy proposals of most of the Republican Presidential candidates do just the opposite - cut benefits and shift more costs to middle-class families. The gap between what Americans need to remain economically secure as they age and what these candidates propose is huge. This is why 2016 will be critical to the economic security of generations of American workers who can't, nor should they have to, work until the day they die. Just as we've seen from climate change deniers, many Republican politicians won't even acknowledge the retirement crisis exists because improving the nation's most successful federal retirement programs is anathema to their misguided belief that Wall Street should be handling your savings and for-profit insurance companies managing your health. When you look at proposals for Social Security and Medicare offered this campaign season, there is virtually no disagreement among Republican Presidential candidates. On one end of a very narrow political spectrum, Governor Chris Christie aggressively attacked Social Security early in the race to prove his conservative bona-fides as a "truth-teller" and to show that he's willing to tell average Americans that he plans to cut their earned benefits. On the opposite end of the GOP field strategically is Mike Huckabee. He's taken a more populist tone in defense of Social Security and Medicare while also maligning both programs as federal "confiscation" and "pick-pocketing." His actual proposals come from the same GOP political playbook: repeal Obamacare which would terminate the billions in Medicare benefits and years of solvency that comes with it, privatize programs, and replace Social Security's funding with a regressive tax changing the program from an earned benefit into a welfare program. The rest of the GOP candidates have staked out their own version of "saving" Social Security by slashing benefits and "improving" Medicare by shifting even more costs to seniors. As you can see in the interactive chart below -- based on the candidates' public comments, written proposals and legislative record -- they have plenty to say about their plans to privatize, cut benefits and shift costs in Social Security and Medicare. The only slight exception is Carly Fiorina, who says she won't detail her Social Security and Medicare plans until after she's elected President. In other words, vote first and ask questions later. On the Democratic side, all three candidates have plans for Social Security and Medicare which illustrate stark differences between the parties when it comes to addressing America's retirement crisis. Hillary Clinton, Bernie Sanders and Martin O'Malley would boost Social Security benefits in differing ways and none support privatization. As one the Senate's most vocal defenders of Social Security and Medicare, Sanders has introduced legislation to boost basic Social Security benefits and lift the payroll tax cap so that the wealthy pay the same percentage of their wages as the middle class. O'Malley supports the same proposals. O'Malley and Clinton support creating caregiver credits in Social Security for those who take time away from work to raise a family or care for a family member. While Clinton has opposed lifting the payroll tax cap in the past, she now suggests she's open to the idea. Clinton supports increasing Social Security benefits for the poorest recipients. While it's clear that the future of Social Security and Medicare would be radically different if GOP Presidential candidates have their way, the story doesn't end at the White House. In Congress, Democrats have had their share of political successes and miscues in negotiations with GOP Congressional leaders. This year alone, there have been multiple attempts by Congress to use Social Security and/or Medicare as an ATM to pay for completely unrelated priorities. Medicare sequester cuts have been extended into 2025. Then Medicare was cut again to help pay for the Trade bill. There was also a failed attempt this summer to fund the highway bill with Social Security cuts and let's not forget that many Democrats have expressed support for the ill-fated Bowles-Simpson "Grand Bargain" deficit plan which would have been devastating for programs like Social Security and Medicare. Sounding the alarm about these damaging proposals isn't just about protecting the current generation of seniors. Cutting America's most successful retirement income and health security programs at the same time younger workers are coping with stagnant wage growth, higher inflation, college loan debt, and an inability to save enough for retirement threatens their future financial security too. The 2016 elections will be a defining moment for whether America's retirement safety net stays or goes. It's critical that American voters of all ages demand that candidates for President and Congress - Republicans and Democrats - are held accountable for policies which will impact generations of American families.